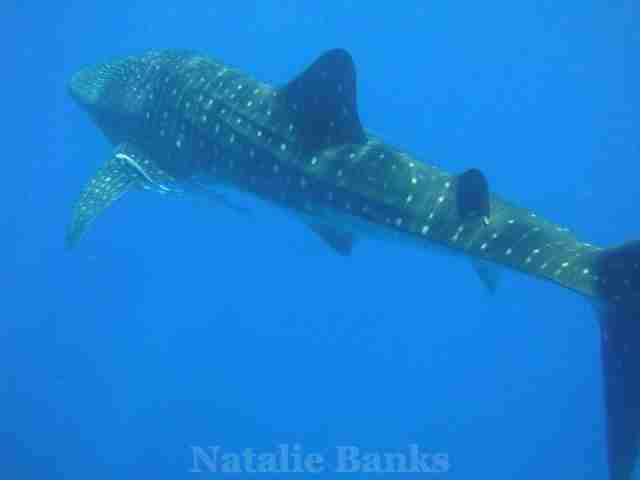 By Natalie Banks I was recently asked to give a speech on why sharks are important. The reason I was asked this is because the organization I am Chair of, No Shark Cull Inc, simply was able to provide it's charity license to those holding the event where I spoke. Since then, I have been asked to provide a copy of my speech - so here it is! Firstly, although I hate public speaking, I was so grateful to have the opportunity to speak about something I am so passionate about: shark conservation. The reason is, because I hope to inspire at least one person in the room to do that little bit more than what they are currently doing for the sharks! Sometimes we need to continue speaking the truth, even when our voice shakes, right? But I also want to give an overview on how I got to know about the importance of sharks. Most people know that I'm a scuba diving instructor, but it wasn't until I was 29 years of age, that I first put my head into the ocean with a mask and snorkel. I was on my honeymoon. As I stood in waist-deep water, I was amazed at the world I couldn't even imagine was there, every time I put my face in the water! There were small tiny fish swimming around my feet! And although I was amazed, I think this taps into our fears about sharks. Because its not the little fish that we can't see that worries us ... it's the big ones - with teeth! My husband will attest to this, but snorkeling in the ocean grabbed me so much through-out my two week honeymoon, that I ended up with an awesome tan on my back ... and being very white on my front! 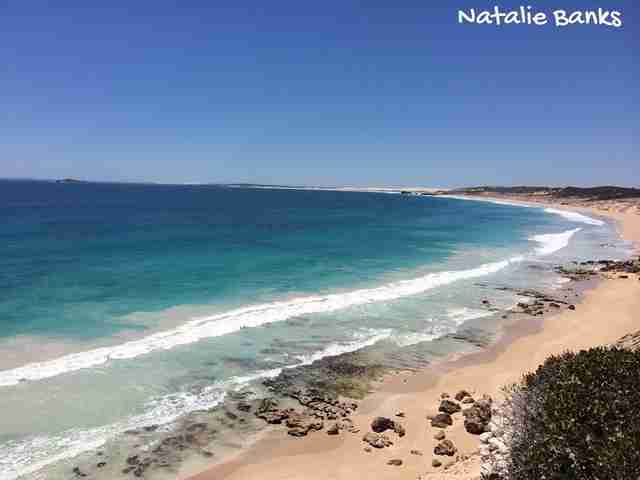 Not long after this experience, I had the opportunity to visit Exmouth and Coral Bay. 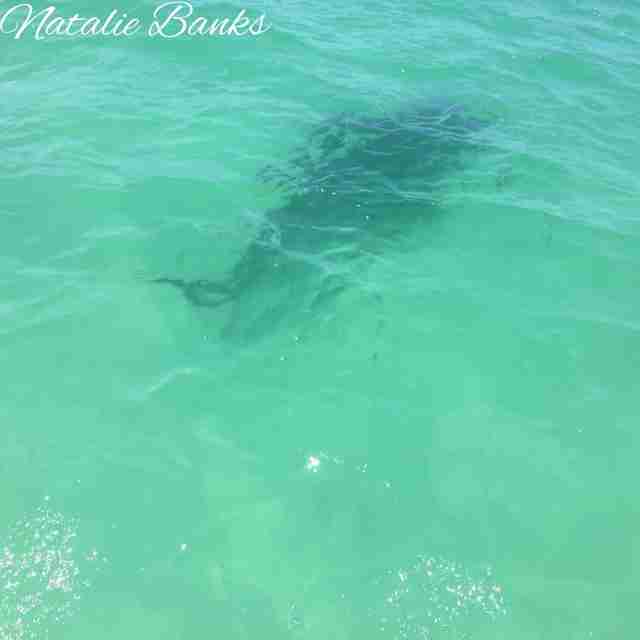 This was the first time I was to see a shark swimming in its natural environment. 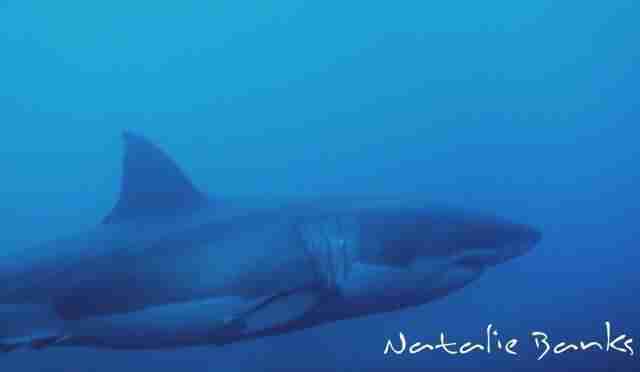 It was a grey nurse shark. I was completely awed by it. I felt no fear, just peace. I also got to experience the joy of seeing whale sharks, manta rays, turtles and whales while I visited the Ningaloo Marine Park and I knew then and there, I wanted to spend as much time in the ocean as I could. Upon returning to Perth, I enrolled to become a scuba diver and went on throughout the years to become a scuba diving instructor. I have been fortunate to scuba dive across the globe. In fact, I was finishing my Divemaster training within the United Arab Emirates, where I lived from 2011 to 2013. 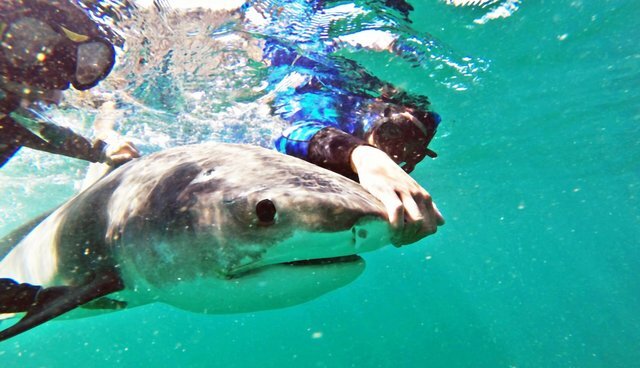 Without a doubt, news of the spike in shark attacks within Western Australia reached the local papers there and when I returned to Perth in April 2013, I noticed a lot more people talking about sharks among my scuba diving colleagues, than ever before. My job then was as a media adviser for the State Government. Part of my role was to monitor media alerts for anything that may be of interest to our Department. And on Dec. 9, 2013, one particular news alert grabbed my attention. It wasn't anything to do with my Department; it was about a gathering of people at Parliament House who were rallying against a possible shark cull in Western Australia. I had never heard of a potential cull in the state and I was so taken back by this news, that I spent the majority of the day writing letters and emails to Ministers and Members of Parliament urging them not to introduce a culling of sharks. Back then, if you were to ask me my reasoning, it was simply because I loved sharks and instinctively it felt wrong to kill them. The following day, the State Government announced the shark cull policy! It was my instinct that led me to post on Facebook a rally event to be held in January 2014 at Cottesloe Beach. It was meant to be a gathering of around 50 of my scuba diving colleagues, holding a banner in the ocean saying culling was wrong, a photograph maybe in the local paper and then a return to our day jobs. Boy was I wrong ... and I am so ever grateful for being so wrong! 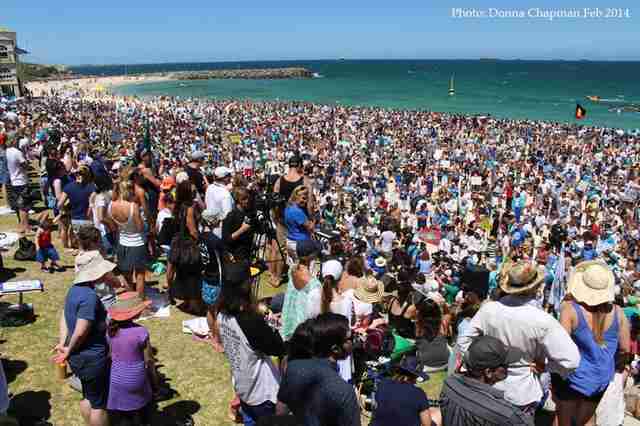 Around 4,500 people rallied at Cottesloe Beach in January and about 8,000 the following month. The plan was always to allow experts to discuss at these rallies, why sharks were important. The way I saw it, my role was simply to enable this! But eventually I needed to be able to explain the importance of sharks. And the precursor to this, was the Western Australian Environmental Protection Authority asking for submissions from the public regarding the planned shark cull for another three years. A one-page, one-sentence line stating that the cull was wrong because I loved sharks and my instincts tells me a cull is wrong, was not going to be enough. Fortunately, the noise created from the rallies I had organized, allowed me to liaise directly with scientists across the globe. My submission ended up being 25-pages with words directly provided from scientists in some cases, who were also against the cull. Only now can I say that I can speak with conviction on the importance of sharks .... and with scientific reasoning! As I mentioned earlier, I was fortunate enough to visit Exmouth and Coral Bay to see a variety of marine life, and the reason for the marine life is because of the amazing coral reefs. Not far south from Coral Bay is the Shark Bay Marine Reserve - this reserve has the largest abundance of seagrass in the world - in fact it has 112 known species of sea grass. I visited Shark Bay in December last year, and while I was there for two days, I saw dugongs, turtles, rays, two tiger sharks and at least 40 nurse sharks. Dugongs, turtles and rays all feed on seagrass. Dugongs eat seagrass like a large hand ripping grass from the roots; they change the structure of the seagrass beds. Rays eat seagrass the same way, but on a smaller scale and turtles, they nibble on the seagrass blades. Sharks protect seagrass by keeping dugongs, turtles and rays at bay, moving them on from the area. A study in North Carolina, where sharks had been fished out of the area, saw in increase in rays. Apart from seagrass, rays also predate on bivalves (scallops, clams, oysters - the hard-shelled seafood). In 2004, this saw a century old scallop industry collapse ... which is bad news for commercial fisherman! But the cascade effect continued. Without the scallops to feed on, the ray turned to clams and oysters instead, so much so that one species of clam, used popularly in clam chowder was completely wiped out, forcing many restaurants in America to remove this classic dish off their menu. Now this is bad news for those of you who enjoy eating seafood! Now the results of this study may not affect you too much. You may be like me: a vegan or a vegetarian and no loved ones are involved in commercial fishing. There is much more to this, but what I'm about to outline, is the scariest part. Bivalves are the ocean's filtration system. They feed on photoplankton, which maintains water quality. Without bivalves, we no long have a filtration system and this could see uncontrolled algae blooms. Now algae is kept at bay by herbivorous fish such as parrotfish and gobies. For those of you that snorkel or scuba dive, that tap-tap-tapping you sometimes hear, is these herbivorous fish keeping coral reefs healthy. Predators of herbivorous fish are other fish such as grouper. When you remove sharks from the ocean, this allows grouper to increase in numbers, feeding on herbivorous fish, which again sees an increase in algae blooms. Currently in Jamaica, more than 90 percent of reef is covered in algae, simply because there are not enough herbivorous fish and not enough sharks. The hardest part about all this is that this information is available to politicians and policy makers around the world. Yet, they continue to make deplorable decisions, playing on people's fears, based purely on two short-sighted goals; money and votes. Our governments are playing with our life support system and that of future generations. Eighty percent of the oxygen we breath is from the ocean. Collectively however, we can make a difference. This week, I wrote to Greens Senator, Larissa Watters, as well as to the Great Barrier Reef Marine Park Minister, Steven Miles, to the Liberal Fisheries Minister for Queensland, Deb Frecklington and to the Great Barrier Reef Marine Park Authority, regarding the 12 shark nets that were dislodged by recent storms, and urging them to consider non-lethal alternatives. If at least 50 people were to also send an email regarding the same request, and then asked one friend to do the same thing, we will start to make an impact. In Australia, the number one reason for shark decimation is by-catch from commercial fishing, this is followed by shark control measures. Globally, shark finning is the number one reason for shark decimation. Through our treatment of sharks, we are about to upend half a billion years of evolution, in less than half a century. Please, I implore you: please do that little bit more for shark conservation. Support organizations focussing on this issue. Talk about it with friends. Collectively we can make a difference; we did it regarding the shark cull in WA and we can do it again. It just starts with doing that little bit more. And if letter writing isn't your thing, consider donating to causes that you believe are doing something positive for shark conservation. It is from your donations that No Shark Cull Inc. can continue to support events, while also talking about why sharks are important. Top photo: Riley Elliot and Ocean Ramsey swimming a tiger shark back to life in early April 2014 after it was left for dead from being hooked on the drum lines in Perth, Western Australia.